What is hijrah? It seems that there are a lot of hijrah terms that are conveyed on social media, news and sayings of the ustadz and dai. Hijrah is indeed synonymous with Muslims, who feel a new atmosphere in their spiritual lives. 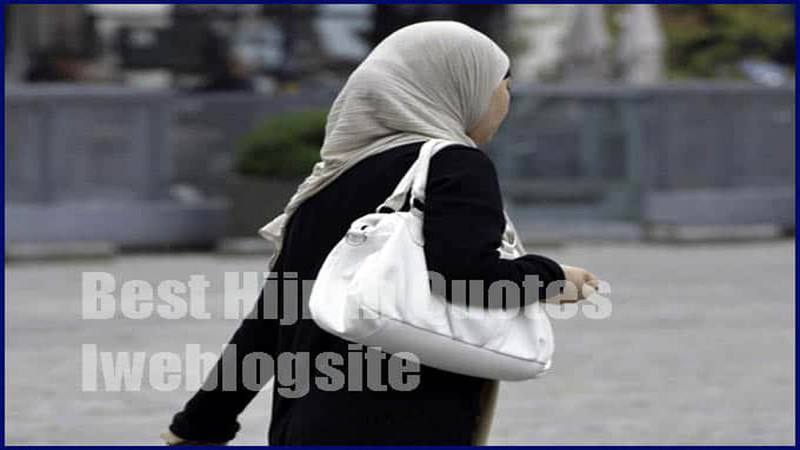 On this occasion, Iweblogsite will give you some examples of hijrah quotes for your social media updates like Instagram, Twitter, Facebook and WhatsApp. It can be concluded that the actual meaning of hijrah generally means moving from a bad state to a good condition or from a good condition to a better condition. This means that the hijrah process is not one time, but will periodically and continuously improve. iweblogsite is trying to write a few motivational words for you, so you can help encourage those of you who are still in the process of migrating. Always remember that every servant has sin, and every sinner is given the opportunity to repent and change in a process called hijrah. DEAR my friends who are currently Hijrah, keep trying to improve themselves and don't feel satisfied with our current condition. Love you all! Hijrah and Istiqomah sometimes make us abandoned by people we love. Believe me, it is a test, God will replace it with someone who is more right to fill our lives. Dear ukhti, your real Hijrah is not just your appearance and status update, but proceed to the Muslim person who is blessed and keeps his honor. True Muslimah will not spit face on social media. Come on, invite your friends to move together. Because Jannah is not just for you, right? Take care of you and invite your other friends to Hijrah. A real man is not seen from his intelligence to speak, but he is seen from the extent to which he fulfills the mandate and does not bring down the honor of man. Never love someone who does not love God. Because he left God alone, what else do you do? Forgive me from the past, still wallowing in the sin of dating. Now as much as possible I try to move from ignorant habits to a more obedient person. Hopefully you enjoy with this article. That's all about Best Hijrah Quotes. Please share this post to your social media, and do not forget to leave your comment below. Thanks for visit iweblogsite.